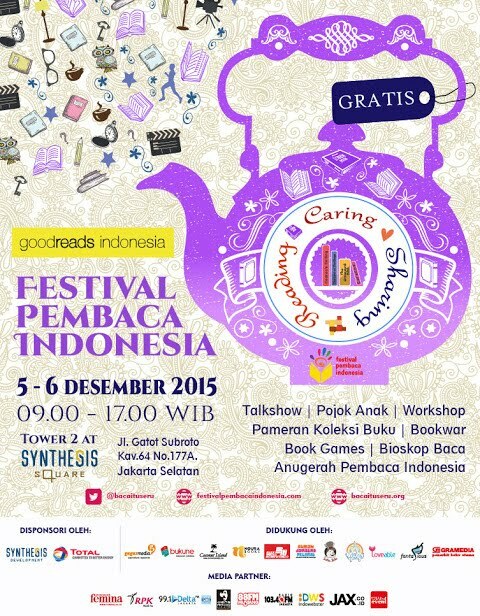 Festival Pembaca Indonesia is back! This time, Jakarta Book Club got invited to participate at the two-day event and create some activities to engage with fellow book lovers. Yes, it's for this weekend. We're so excited! The highlight of the event will be our very own book reading, proudly presented by JBC founder Shirley Christie and one of our active members and talented storyteller, Christian Putra. So, if you would like to know more about us, this is the time. 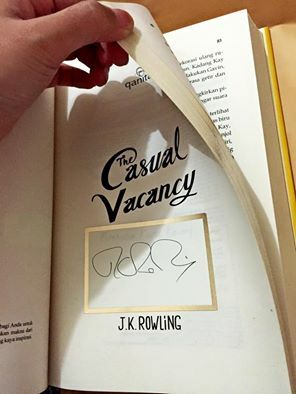 We will also have a game session every afternoon, with a grand prize of a signed copy of "The Casual Vacancy" by J.K Rowling (real signature, not printed!). The hardcover book is neat and shiny, and it is waiting for you! To give a glimpse of what we do at our monthly JBC meetup, we will have book swaps twice a day, where you can give a decent ol' book and take home a "new" one from other people. This is a good way to reduce environmental waste, while reading more books at the same time. Most books are in English, while few are in Bahasa Indonesia. Spread the news!